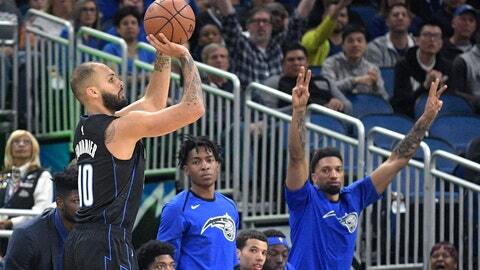 Magic: Orlando’s starting five outscored New Orleans’ starters 78-43, including 50-19 in the first half. … Orlando had two, potential four-point plays in the first half. Ross missed his free throw in the first period, but Fournier converted his in the second period. … Orlando had 10 blocks, one shy of its season high.